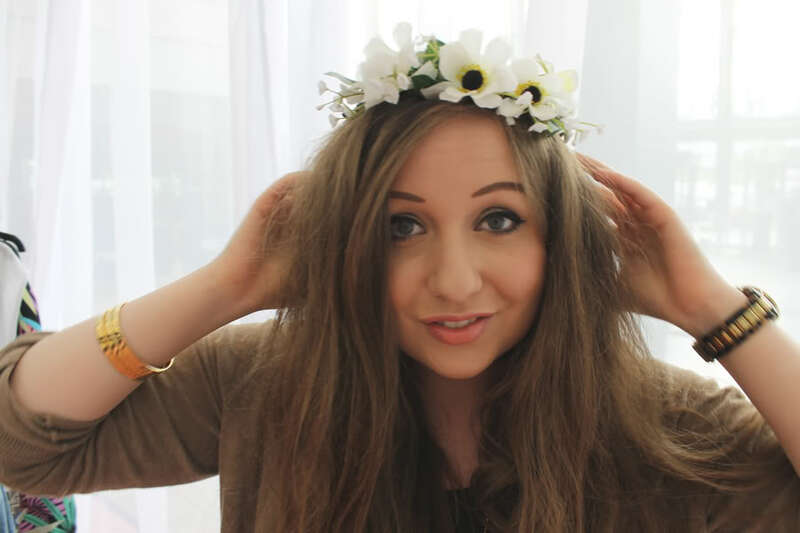 After attending a lovely Glasgow blogger meetup hosted by the wonderful Sofie and Lizzie from Mabels Log, we were lucky enough to be invited to a blogger event here in Scotland hosted by Topshop as part of Silverburn Shopping Centre’s Fashion Festival! We were taken into the Silverburn Topshop store at 9.30am, before the shop opened and were given a talk by two lovely ladies Emily and Susan about Topshop’s new collections Belief, Pretty Military and Calypso. Belief is a festival inspired collection which is right up our street (We love a bit of Glastonbury and T in the Park!) which mixes “grunge fabrics, cross motifs and slouchy shapes”. 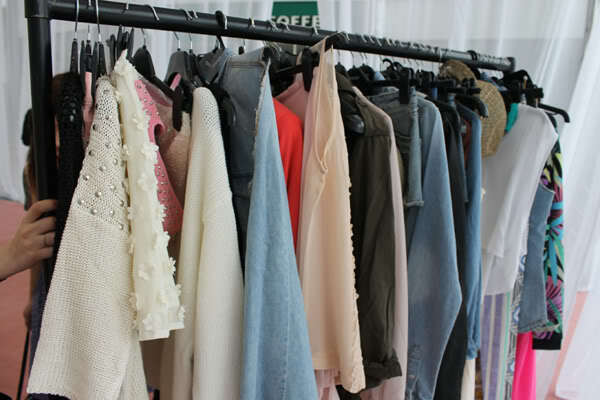 Pretty Military was a mix of pastel shaded garments with a mix of studs to give it a more grungy theme. Last but not least, Calypso included lots of tropical prints and neon brights. 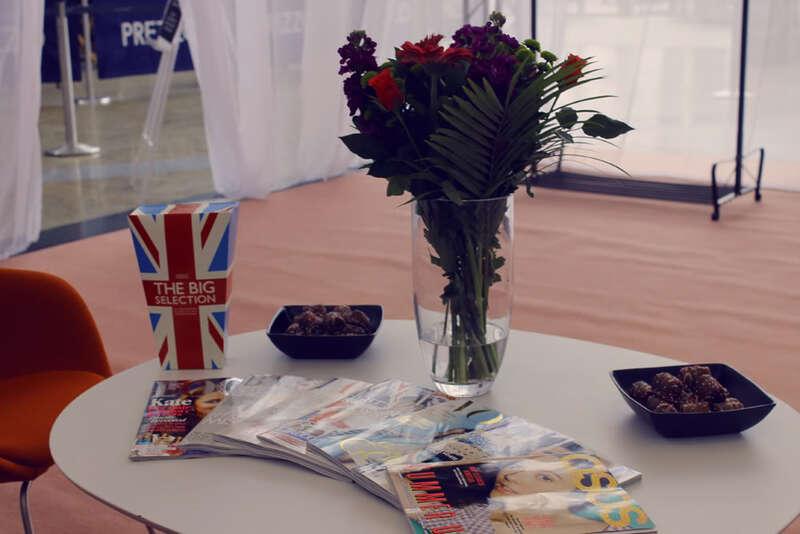 Some of our favourites were the Daisy Full Skirt, VECTRA4 Canvas Studded Slippers, Pearl Embellished Shorts and the WHAMM Espadrille Leather Wedges. 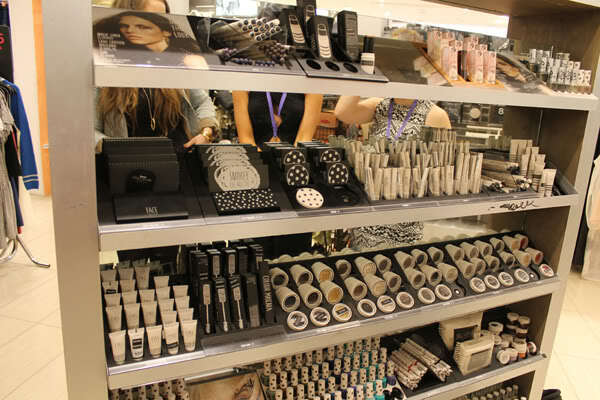 As we’re beauty bloggers we focused on the makeup side and headed over to the Topshop Makeup Counters to look at the products they had in store. Topshop make-up is made by the same company which makes MAC which should give you a good indication of the quality of the products, amazing! Topshop makeup consists of a Core Collection and they’ll occasionally bring out additional collections such as Sisters of the New Moon which they have right now. Topshop’s best selling items are their Cream Blushers (Head over Heels and Neon Rose) and their amazing range of Lipsticks including our favourites Rio Rio, Innocent and Infrared. We noticed quite a few new lipsticks in the core collection such as Whimsical, Sartorial, Tease and many more so we’ll have to go stock up! Another product which caught our eye was the Smokey Eye Palette in Tawny which is a lovely neutral palette with a hint of shimmer. 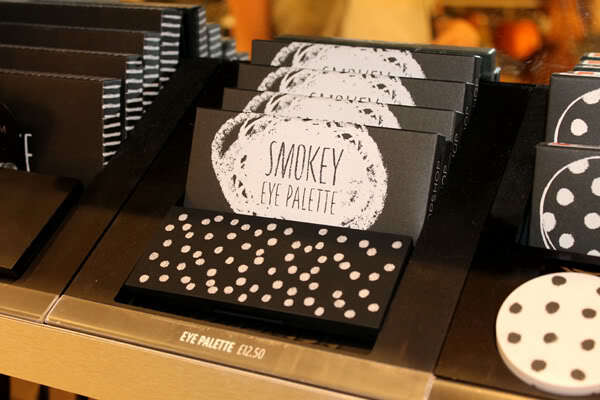 When you hear “Smokey Eye” you think of dark blacks and greys but this palette is much more wearable and at £12.50 is a real bargain! After browsing around Topshop we headed over to the Style Lounge for the Silverburn fashion event to try on some clothes and have a chat with other lovely bloggers! It’s always a pleasure to meet up with the Scottish bloggers and have a chat over mojitos from the mocktail bar. We were treated to a lovely lunch at Yo! Sushi with the girls but for a fussy eater like Sami who doesn’t eat any kind of seafood, that was a bit of an experience haha, thank god for desserts! 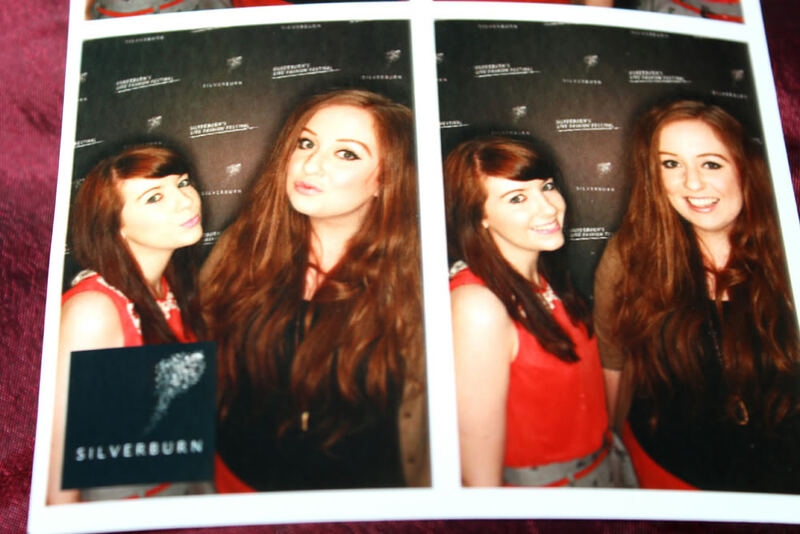 Of course an event wouldn't be complete without a shot in the photobooth! We watched Ayden and Claire pull some funny faces before we hopped in the photobooth. Not only could you get a free print out but you could upload the pictures straight to facebook, how cool! We will be sure to do a separate post showing off the goodies we bought on the day! What do you guys think of Topshop's new collections? What are your favourite pieces? 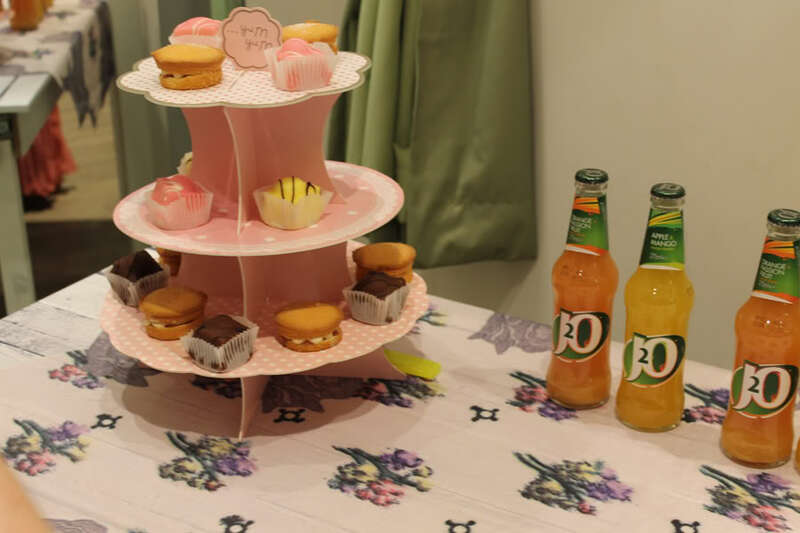 We want to say a big thanks to Silverburn and Jennifer for organising the event, and give a little shoutout to the lovely bloggers we met up with including Ayden, Claire, Paula, Rachel, Wendy, Fiona and Sinead! nice event, thanks a lot for sharing this info.